BCCM members are leading Australian co-operatives and mutuals from all industries, including peak bodies and household names in agriculture, health, housing and education. Many started because the market couldn’t adequately meet community needs, and some have existed for more than 150 years. BCCM members provide employment across regional and metropolitan Australia, cementing fairness and equity in market supply chains. Co-operatives and mutuals support their community beyond donations and sponsorships – for every dollar spent, it’s estimated 76 cents is recycled within the local community. 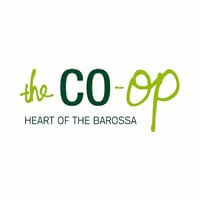 The Barossa Community Co-operative Store, ‘The Co-op’, is one of the largest and longest-standing retail customer co-operative in Australia. It is not only a successful business, supplying retail products and services to its members and community, but also creates financial, human and social and relationship capital for its members, suppliers and the business. The Yenda Producers Co–operative provides its farmer members with comprehensive farming products, services and farming advice from a team of highly trained and experienced agronomists and horticulturalists.